Fossil specimens are often fragile, very heavy or both and cannot be easily used for display or research. In these cases, exact copies, or replicas are made. Making a fossil replica is a time-consuming and expensive process. 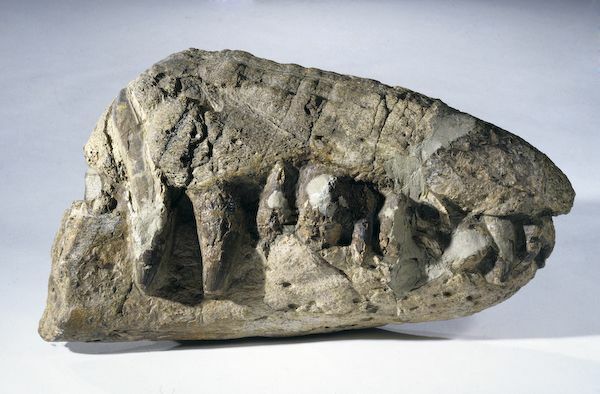 After preparation of the fossil is complete, the specimen is moulded in silicone rubber. This is usually done in two halves, which are supported by a fibreglass or plaster jacket to help hold shape. A small plughole is left in the mould, so that the casting material can be poured into the mould. The casting material used can be resin, polyurethane or others such as plaster, which is poured into the mould in exact quantities and left to cure. When the casting material is cured, the mould is removed revealing a three dimensional replica of the specimen. The replica is then hand painted to that the colours match the original exactly. The skilled preparators at the Queensland Museum produce replicas for research and display, which are light, durable and above all replaceable.